In recent years landscape has been discovered not only as an ecological, aesthetic and tourism resource but also for its cultural value, and this has become a major theme within the EU. The European Landscape Convention published by the Council of Europe in 2000, and chapters on the fragility and need of care for the cultural landscape in the convention on special planning in Europe, drafted by the EUs Council of Ministers, are just two striking examples. But what is a "cultural" landscape? Simply speaking, it is any landscape formed and influenced by human impact. In this broad definition, which is used for European conventions, every landscape in Europe is cultural. So rural as well as urban, central, marginal or remote landscapes, beautiful and stunning landscapes as well as industrial, rural or urban wastelands are covered by this term. This allows a new and open approach to the landscape, but it also makes it difficult to deal with, as more or less everything is included. Paneveggio natural park in Trentino, Italy. These landscapes range from remote islands to regions bordering major urban centres, from the sea to the high Alps and include dry lands, wetlands, lowland, upland and mountainous regions, forested and rural areas. Not only the landscapes vary, but also the organisations dealing with them. They range from charities and non profit organisations to regional and national heritage managements to universities and an academy of science, and so represent different approaches towards a management. Areas chosen also represent very different cultural and scientific traditions. UK and Ireland, Scandinavia, Central and Eastern Europe as well as the Mediterranean region have developed very different philosophies in science, communication and management. A closer look also reveals greater variety within for example the UK than might be expected from an outsider's perspective. Archaeologists are comparatively new players and have specific view on cultural landscapes, which they look at in terms of development and the impact of humans. New debates about (man made) climatic change have fostered a historical and archaeological approach towards the landscape, strengthening interest in cultural aspects. But the views of archaeologists also change. Every study has to start with the present day landscape, its state and character, and it has to concentrate on the landscape as a whole, not single finds and features. Landscape is a concept in the human mind - of people in the past as well as the present, and must always be studied in its context. The scientific methodology for characterising the landscape is Historic Landscape Characterisation (HLC). HLC is a new tool and still in the process of development. In England English Heritage has started a campaign which will lead to a nationwide characterisation of the cultural landscape. Due to limited resources of money and manpower, HLC on a large scale is limited to easily accessible sources. It often is a mere desktop study, using historic (mostly nineteenth-century) maps and archival material. Studies in smaller areas are based on a greater variety of sources, historic and archival as well as physical survey, excavations, pollen analysis, geophysical research, aerial photography etc. An important question therefore is the relation of small scale and detailed investigations and bigger scale characterisation. To test this relation and the validity of large scale results our English partners chose an area which had recently undergone HLC on a county level. In Lancashire a small area was investigated in more detail, and results will be compared with the existing characterisation. Not only scale makes a great difference, but also the questions posed. Here one has to respect the diversity of cultural and scientific traditions in Europe. Nevertheless the partners found the different perspectives in various countries interesting, and formulated new ideas and methods by learning from other views. A framework of basic common ideas emerged and within this framework results become more comparable and valid. Meetings, seminars and staff exchanges allow the partners to learn more about their different approaches, and intensive networking guarantees a permanent exchange of experiences. Pathways to Cultural Landscapes is a European project dedicated to the study, communication and sustainable management of cultural landscapes. It has received three years funding by the `Culture 2000' programme of the EU Commission, General Directorate for Education and Culture. 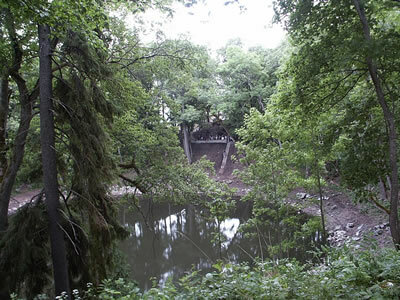 It is organised by the Archaeological Spessart-Project situated in Aschaffenburg, Germany, which has set up a co-ordination office in Lohr in the Spessart region. 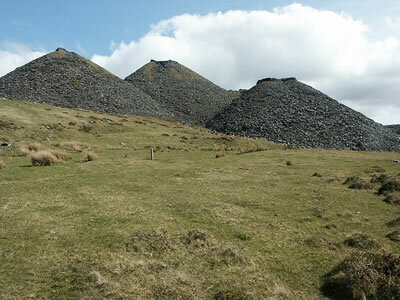 A landscape of slate: Slate quarrying has shaped the landscape as well as the people of Northern Wales. Slate walls structure the fields enclosed by squatters, as up to 90% of the slate mined had to be dumped as waste. Small farms and hamlets were built by the slate miners, who faced demanding landlords. 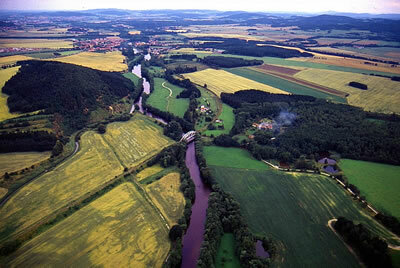 A landscape of ponds: Prachénsko is an area in Bohemia that was intensively settled in the Iron Age. Rivers, brooks and carp ponds structure this upland region, which suffered much from heavy floods in 2002, a reminder that natural forces are not to be neglected in the cultural landscape. 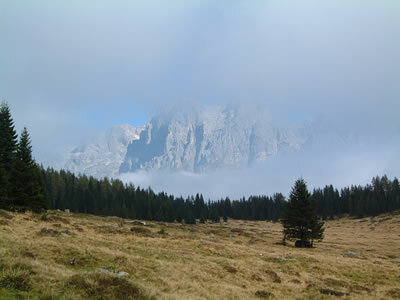 A landscape of majesty: the natural park of Paneveggio/Pale di San Martino is situated in the Italian Dolomites. It was always dominated by foreign powers, from Austria because of its rich silver mines and from Venice for its high quality wood, much used by the Venetian fleet. A landscape of craters: Kaali meteorite crater field is one of the most striking landscapes in the project. Struck by a meteorite in the Bronze Age the main crater was used as a sacrificial place in the Late Bronze Age, and was enclosed with a stone wall in the Iron Age. It inspired tales of devilish lovers in more recent times and was used for wedding ceremonies during the Soviet period.